The interactive transformations are made possible by a special 3D scanning system that registers body warmth, allowing visitors to explore and manipulate the installation by using their gestures to create curves and shapes. 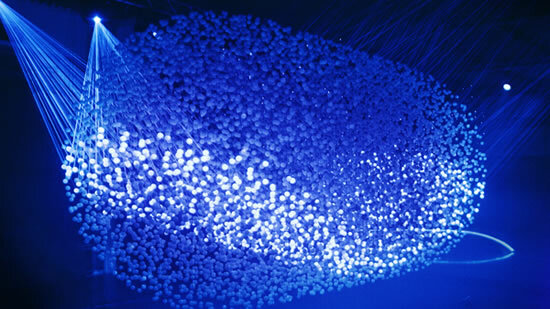 Occupying 1,000 square meters, the installation is made up of 12,000 translucent spheres, acting collectively as a screen, surrounded by eight high-powered lasers and suspended over a pool of water. 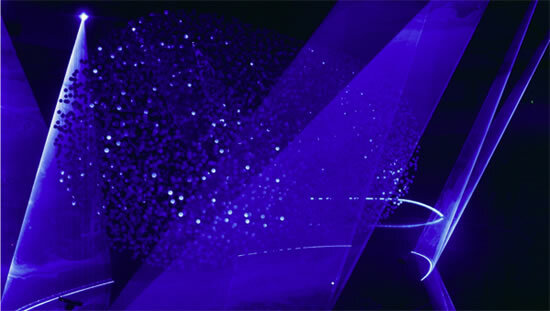 Created by Hyundai Design Center, the light sculpture introduces Hyundai’s aesthetic language to audiences in the form of interactive performance art. Hyundai’s participation in Europe’s foremost design event is set to propel the brand to new heights not only in the world’s automotive industry, but in the world of design.